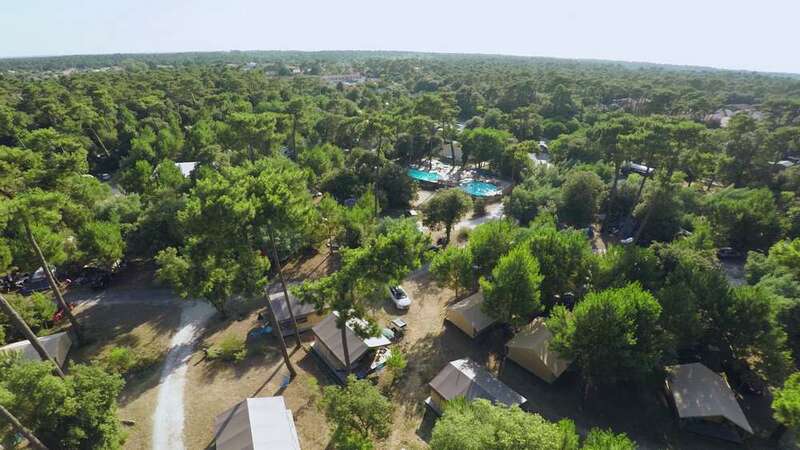 In the heart of a majestic pine forest in Saint-Trojan-les-Bains, enjoy the beautiful heated swimming pool and bike rides on Oléron island as far as Gatseau beach! 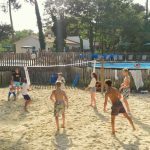 The unique location of Huttopia Oléron Les Pins campsite is ideal for discovering everything Oléron island has to offer. 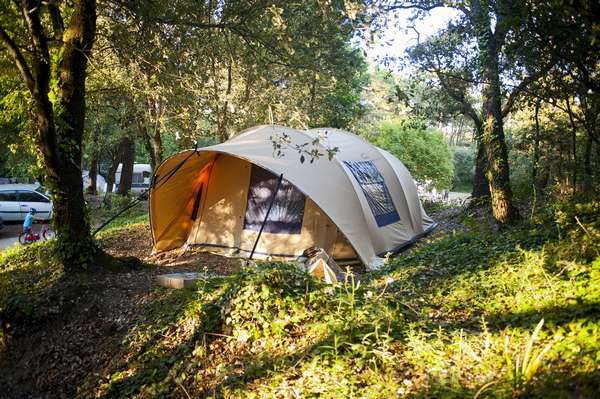 Everything can be reached by bike from the campsite so you can discover the island’s most beautiful spots amid forests and the ocean. 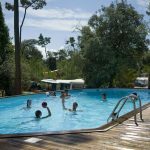 After a day of swimming, water activities, and exploring Oléron islands best spots, holiday makers can relax by the heated swimming pool. 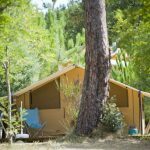 On site in the shade of the pine trees, there is a food service, an activity programme for children and adults, and bright washrooms to make your holidays even easier. 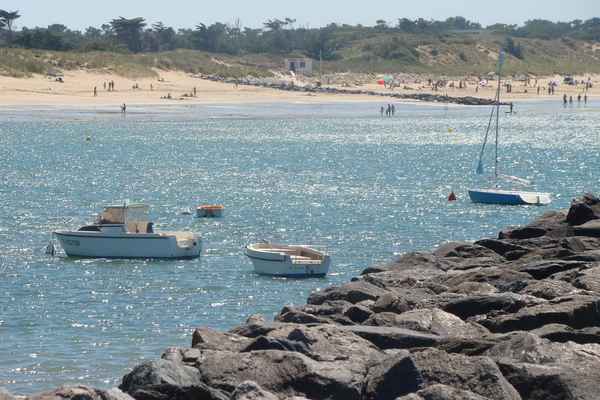 Head to the south of Oléron island! 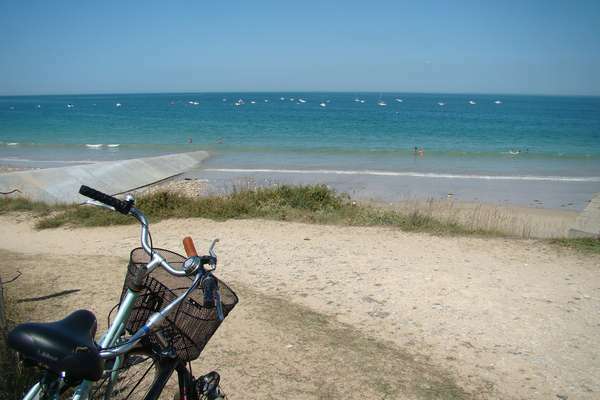 Quaint villages in traditional harbours, sampling local produce on unspoilt beaches ideal for swimming… there are a whole host of activities easily accessible from the campsite thanks to the many cycle paths in the area. Get together as a family at the end of the day for drinks on the pretty wooden terrace. 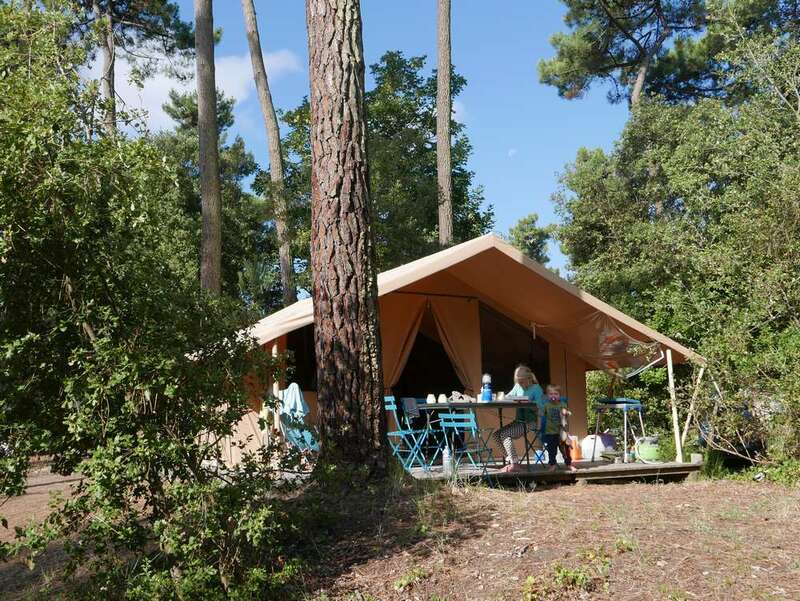 Set up camp on a beautiful pitch in the heart of the pine forest or opt for the comfort of a fully equipped Wood & Canvas tent… there is plenty of choice at Huttopia Oléron Les Pins campsite.  This site bears the label « Famille Plus ». 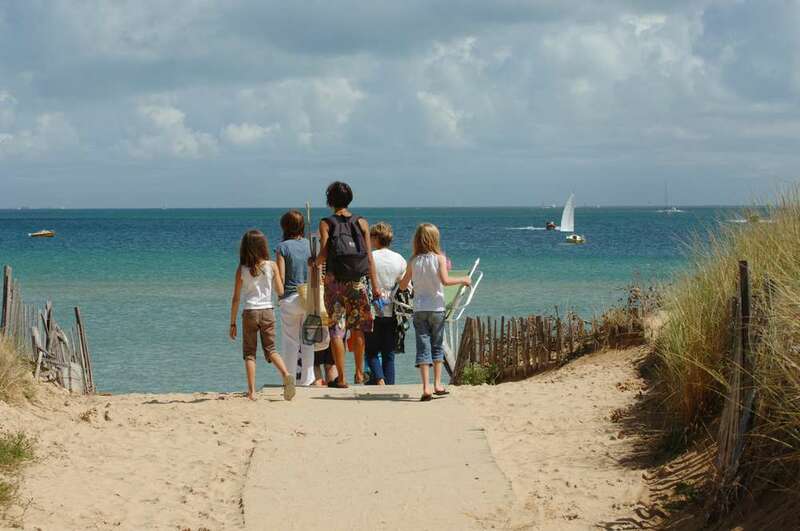 It is commited to ensure to families and children a suitable welcome and successful holidays! 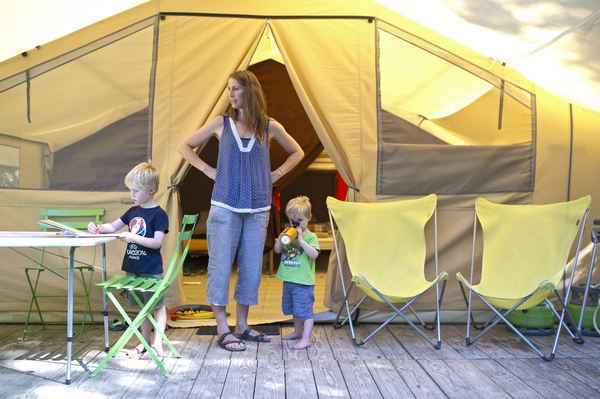 Camp in a fully equipped canvas tent! 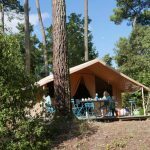 A natural luxury for you to experience at Huttopia Oléron Les Pins. The real added bonus? 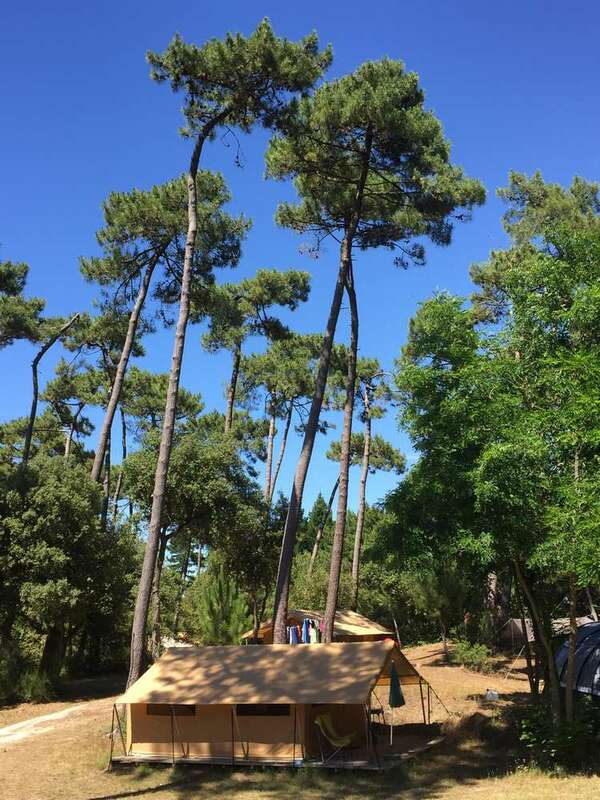 Falling asleep in real beds soothed by the sound of the breeze in the pine trees and being able to cook up some delicious little dishes between two trips out exploring Oléron island. 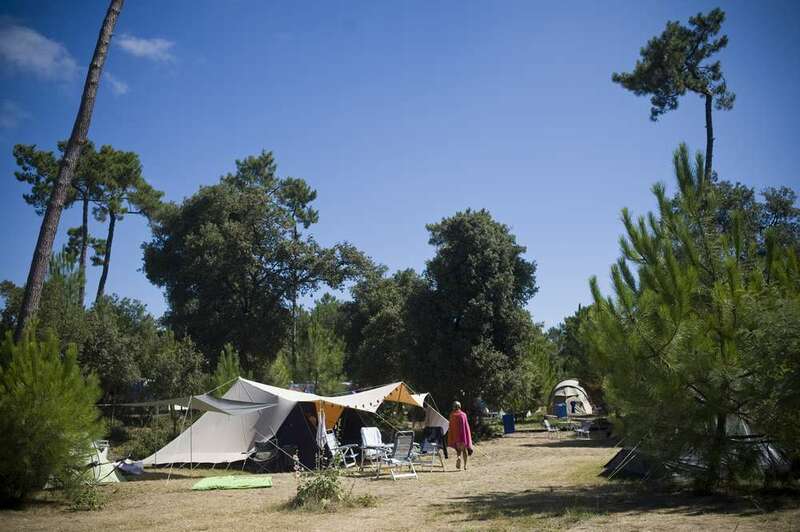 Camp on this beautiful natural site in the heart of the national forest of St Trojan les Bains near the village. 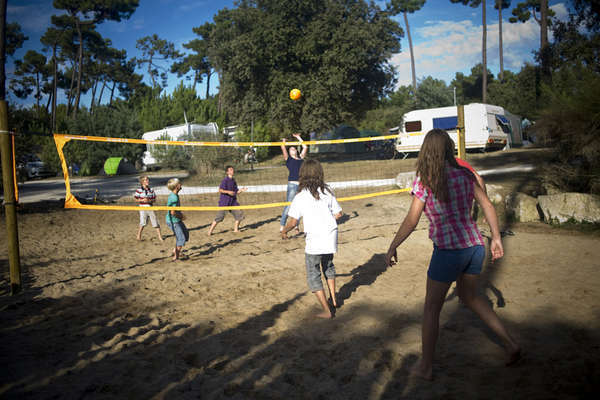 Tents, caravans, and motorhomes can set up camp on the spacious, sandy beaches at Huttopia Oléron Les Pins. 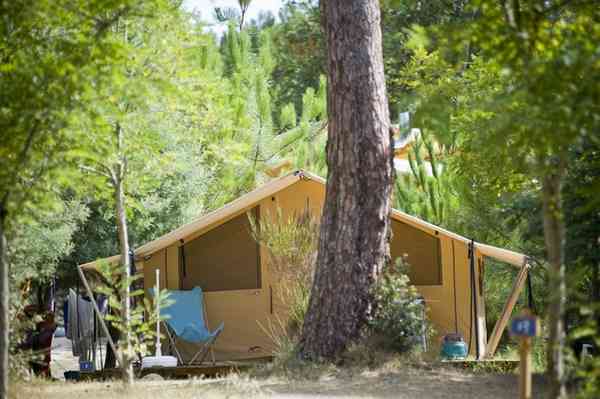 Built entirely of wood with a canvas roof, the campsite's 3 washrooms nestle in with the surrounding environment. These bright and spacious facilities are suitable for people with reduced mobility and have a baby bathroom for your little ones. 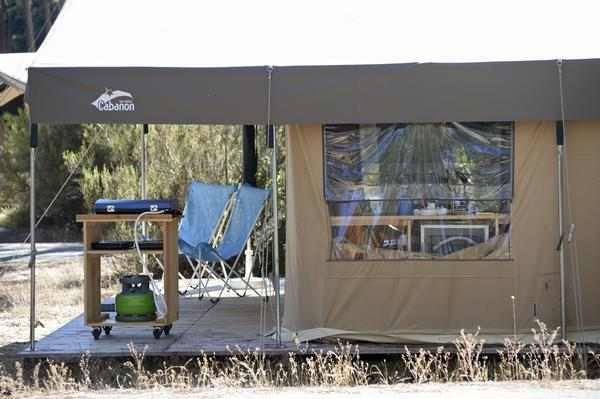 You will love drinking a peaceful cup of coffee on the terrace after a dip in the campsite swimming pool. 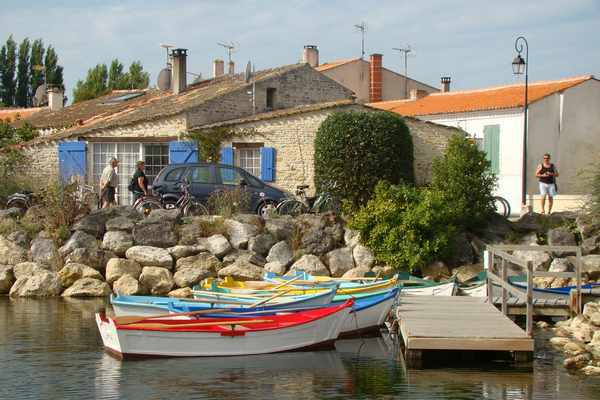 Then it is time to explore the nearby beaches and villages with the advice of our team on site. 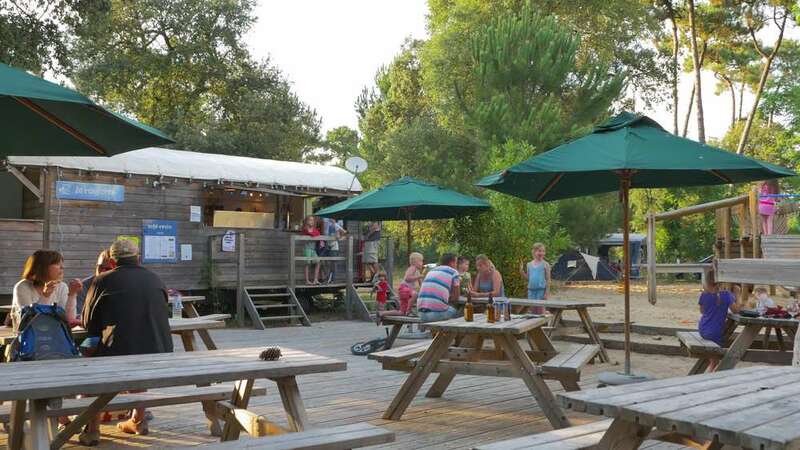 Huttopia Oléron Les Pins campsite offers mouthwatering dishes! On the terrace, enjoy drinks, ice creams, or sharing a meat platter at dinner time. 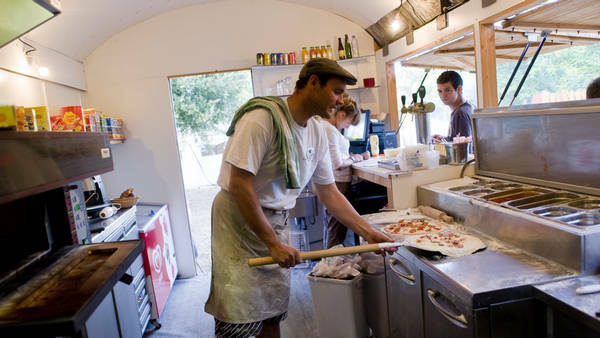 We value being able to offer you simple, quality cuisine. Have you just arrived? Come along to reception for all the information you need about your stay. 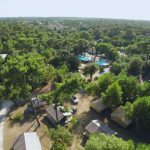 The campsite team will be happy to let you know all about the water activities, the most beautiful beaches and villages, and the best events that take place on Oléron island. Tourist office, bank, bakery, supermarket 1.5 km from the campsite in the village of St Trojan Les Bains. 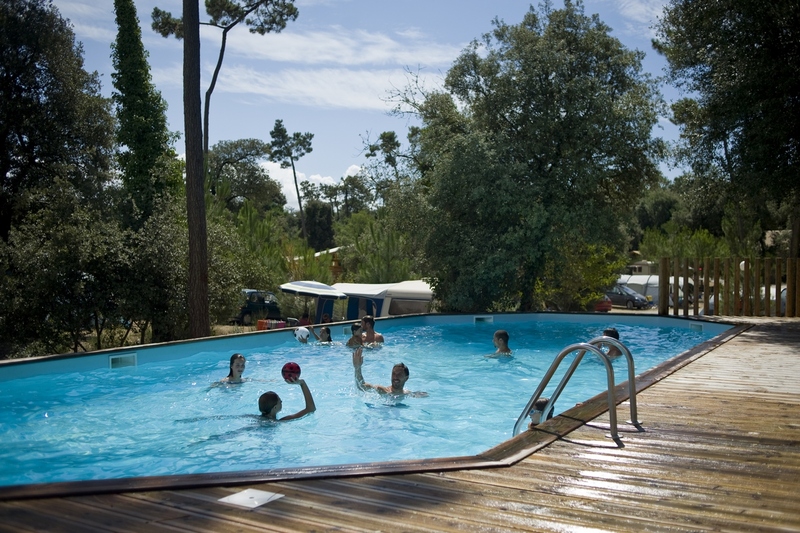 Heated pool and open air facilities! Enjoy a dip in the beautiful heated pool when you get back from the beach. Your little ones can paddle quietly about while you lie back on the sun loungers for a well-deserved break in the sunshine! 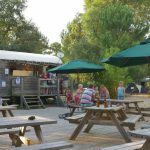 You can hire bikes on site and take the cycle path just in front of the campsite to reach the beaches (1.5 km) or St Trojan in the heart of the forest! 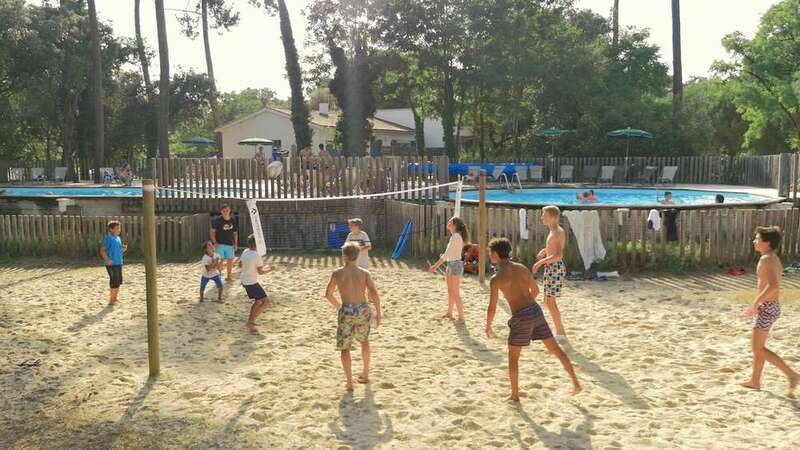 Volleyball, ping-pong, petanque, children’s playground, board games, book shelves, and table football. On weekday mornings, our multilingual activity leaders organize fun crafts and games for children aged 6 to 11. Ideal for endless fun, laughter, and memorable moments with new friends! 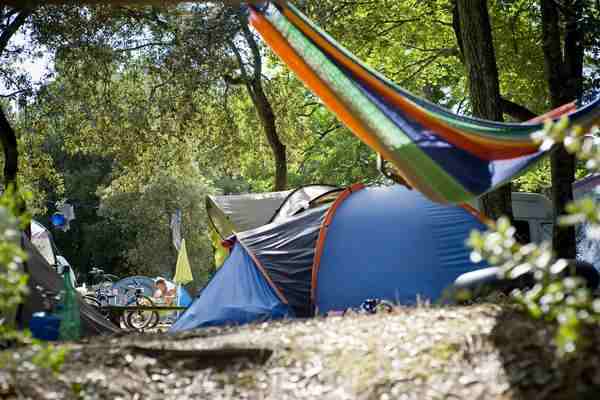 And find out about all sorts of other activities at the campsite activity forum too! 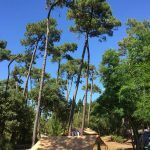 Enjoy true freedom at Huttopia Oléron les Pins, with our brand new electric hybrid bikes, available for hire (from 22/06 to 16/09). A gentle and sustainable mode of transport, ideal for exploring the great outdoors! Every day in the late afternoon, some unexpected visitors come to the campsite: ponies! 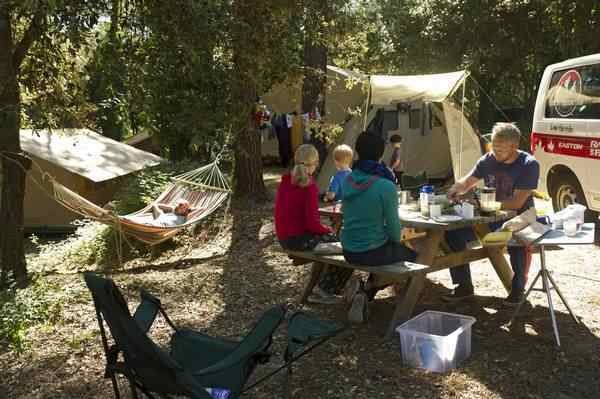 Ideal for kids to go on a pony ride on the campsite in complete safety. 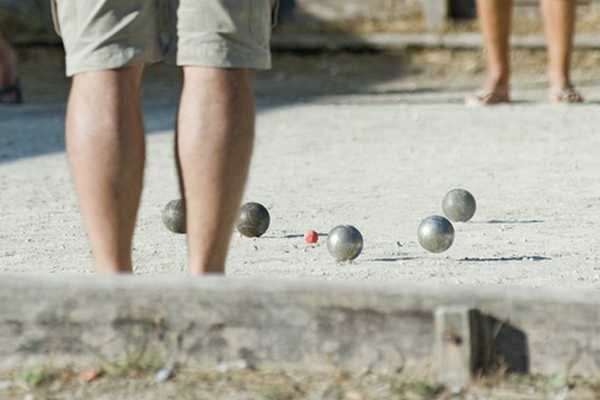 On Wednesday nights there’s a petanque tournament at Oléron Les Pins campsite! Relax and have fun in a friendly atmosphere. May the best player win! Are you more of a fan of Cluedo, Quizzes, or Mini Olympics? 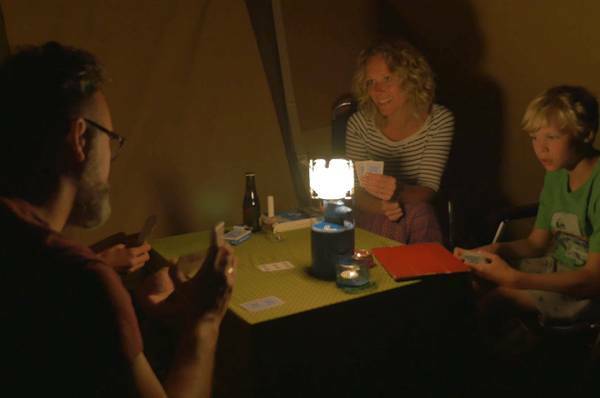 Every Tuesday night there is a board games evening, with a variety of games depending on the participants! And why not try out the Fort Boyard board game, to stay on the theme of the island? 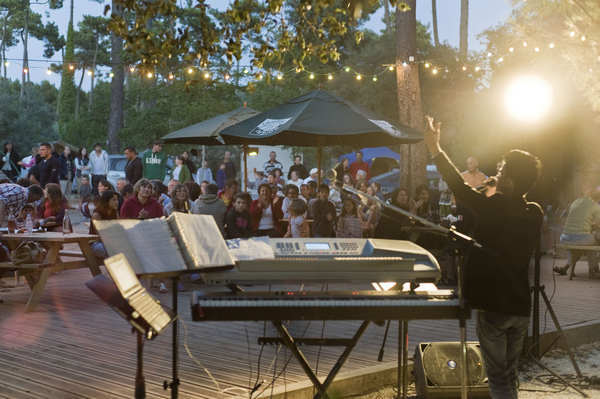 Summer evenings on the terrace are the ideal opportunity to enjoy an authentic and convivial evening listening to some of our favourite local bands. 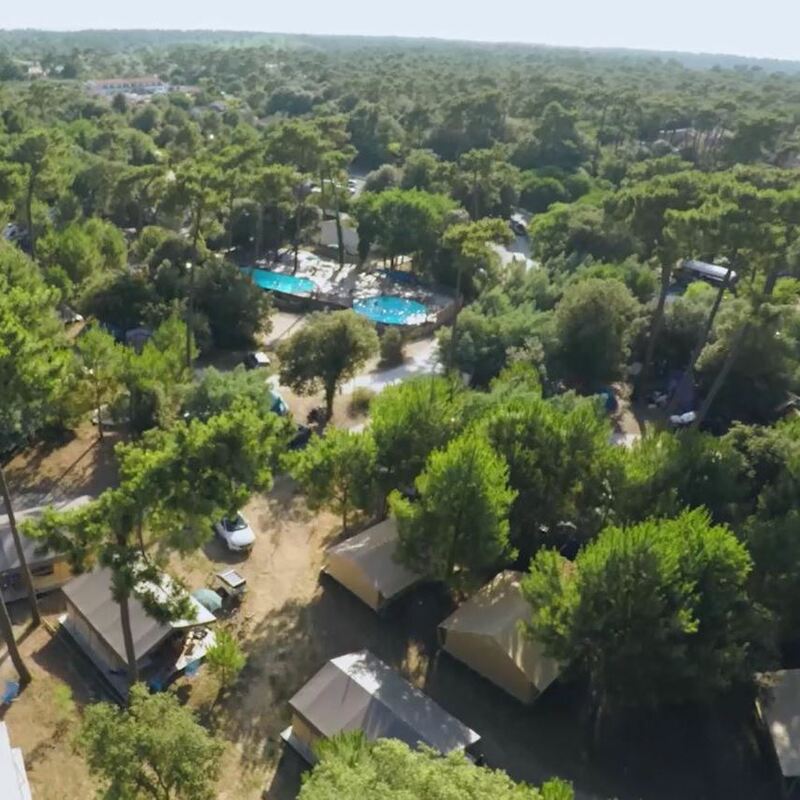 On the line-up this summer at Huttopia Oléron les Pins: Purple Mad Bones, Sandy Smoke, Funkindustry, and more…! 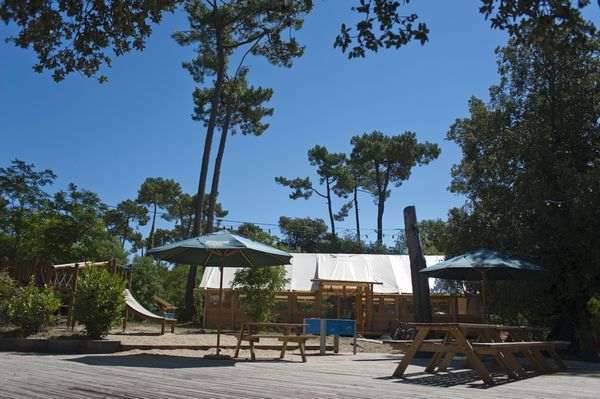 Huttopia Oléron les Pins campsite takes on a festive air two Thursdays a month, with a Giant Wood Games evening. 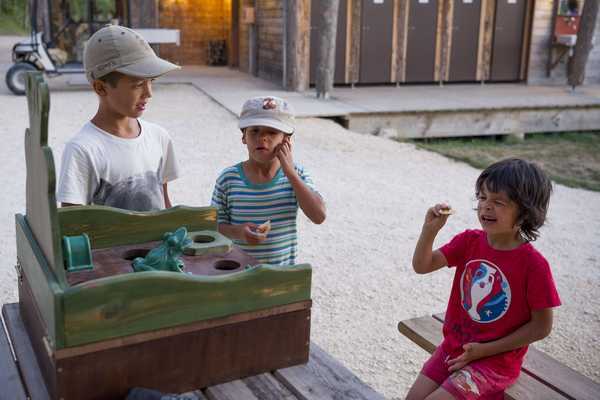 Will you try your hand at giant mikado or shuffleboards? 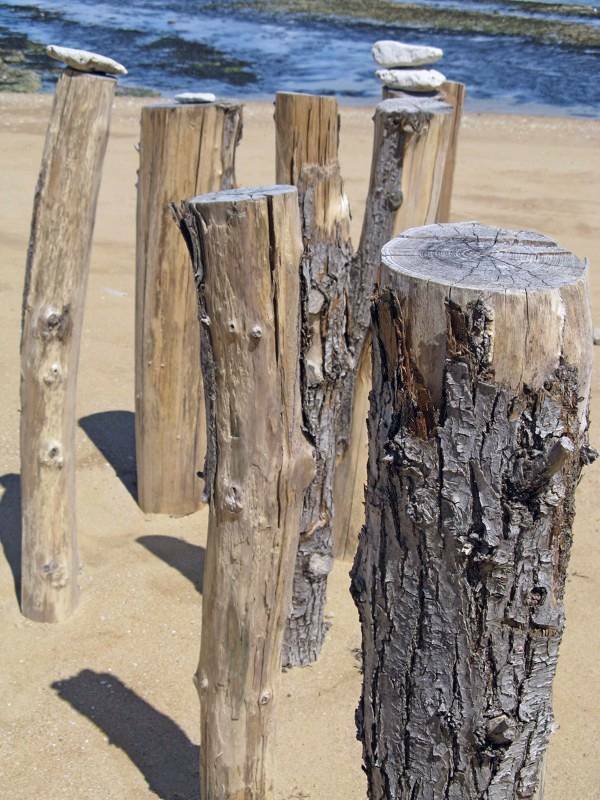 Enjoy holidays in the sun, by the water’s edge, on the beach… or elsewhere! 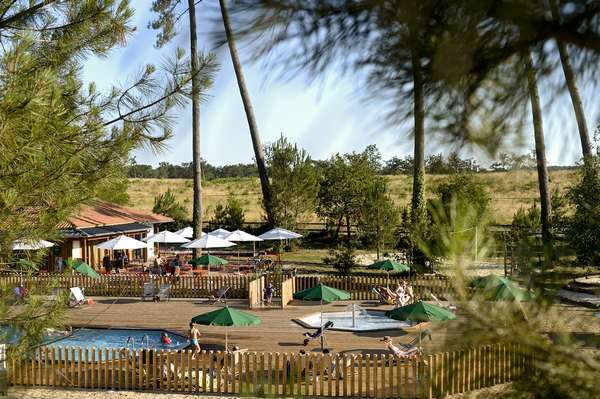 Huttopia Oléron Les Pins campsite is located near the town of Saint-Trojan-les-Bains, in the south of Oléron island. This beautiful seaside resort is also a harbour that specializes in oyster farming. Besides the Saint-Trojan-les-Bains Port, the island’s maritime atmosphere is best experienced at Le Port des Salines and Le Port de La Cotinière. Artist huts and fishing boats are the order of the day! 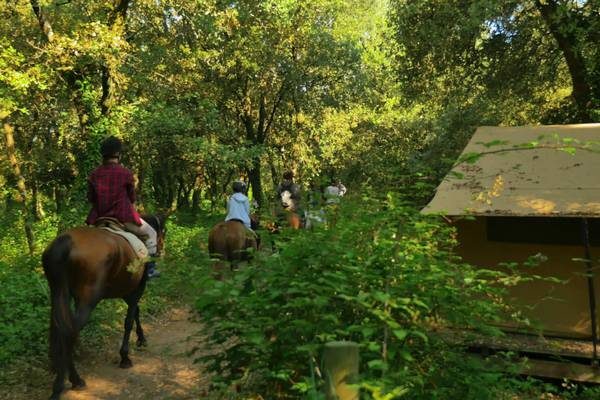 The Bird Marsh with its 130 ha of woods surrounded by former marshes is the ideal family excursion to discover the fauna of Oléron Island! Paddling, kayaking, windsurfing, catamaran, langoustines, Marshland salt, toffee, local wines, and more… all waiting to be discovered at the numerous island producers and markets for holidays with a gastronomic touch! 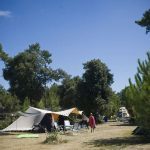 Discover the amazing Oléron Island Beach: the best known, the Grande Plage, Gatseau Beach, a little piece of paradise straddling sea and forest, and the wildest of them all: Maumusson Beach. Take the little Saint-Trojan train to get there. 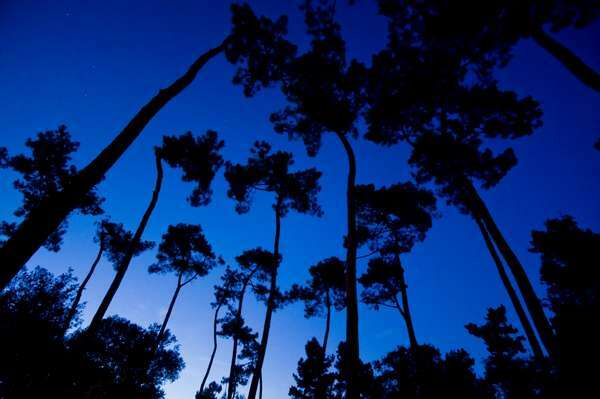 This is the island’s largest pine forest, with flora mainly consisting of maritime pines, holm oaks, and mimosas, protected by the French forestry commission. 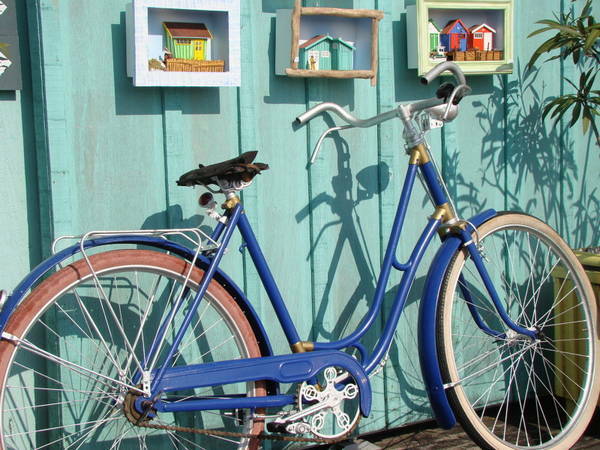 Ideal for a lovely walk or bike ride. 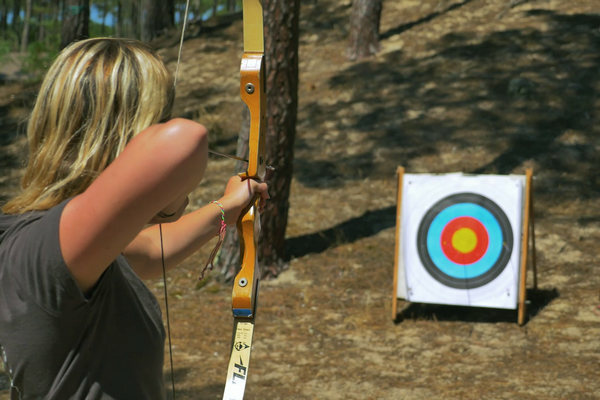 Sports enthusiasts can enjoy exploring the island’s many cycle paths, playing tennis, horse riding, shellfish gathering, and of course all the water sports at the island’s famous spots (windsurfing, surfing, sand yachting…). … and a culinary paradise! Enjoy the seafood. 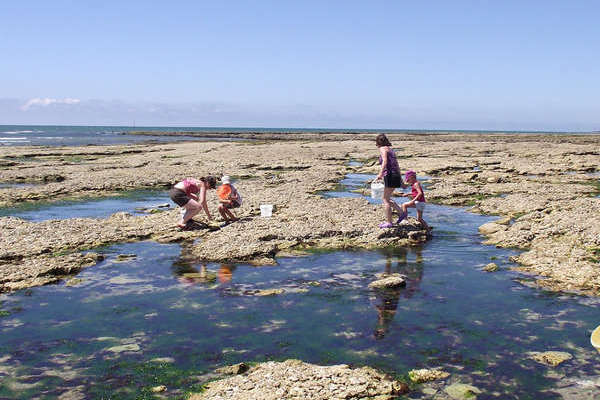 Make the most of your stay to sample oysters (the famous Marennes d’Oléron), mussels and other local products. A whole range of delicacies so you can enjoy a flavoursome holiday! We paid extra for a sweet and were very disappointed with the squeaky floor, it did spoil things for us.